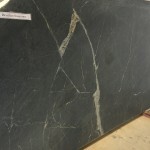 Soapstone is a sedimentary stone. 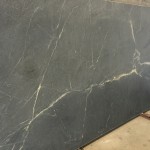 Soapstone is usually grey, green or grey brown in color. The primary components of soapstone are talc and chlorite–the greater the content of chlorite the more pronounced the green color will be. The talc minerals give soapstone it’s characteristic slippery feeling. 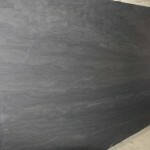 Soapstones are very dense, however, they are also very soft and easily carved. Slate is a metamorphic stone. The origins of slate are the sedimentary deposits of finely sorted silt that compressed to form clay and shale. The primary mineral components of slate are quartz and mica. 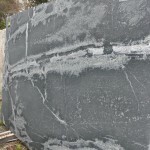 Slate is formed by the metamorphosis of shale and clay. The density of slate types is determined by the degree of metamorphic action that occurred during its formation.